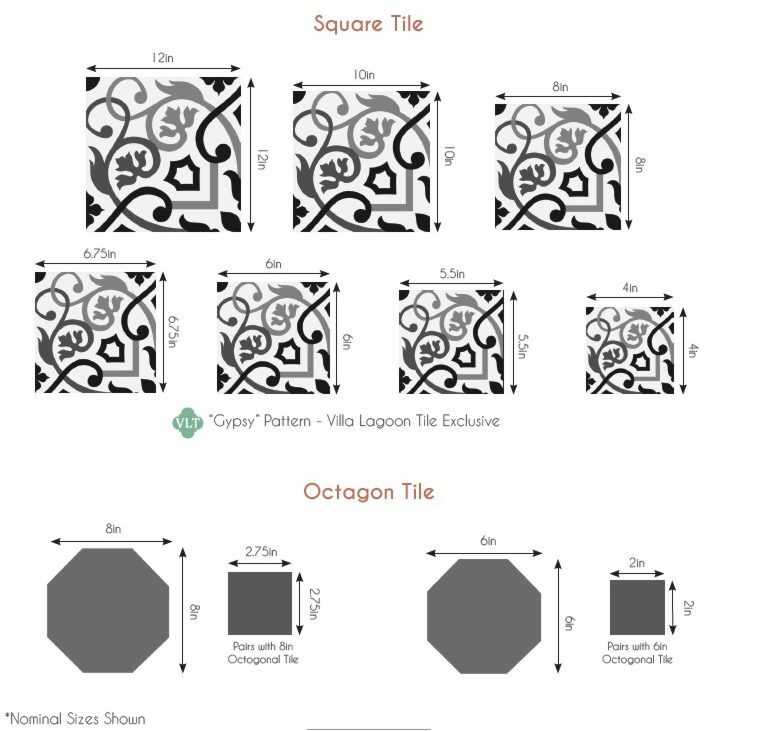 As with most cement tile, the number of colors and in some cases, the complexity of the pattern, will effect the price of our tile. This is because Cuban Tile is a hand made product and each individual color area is poured by hand, separately. Prices shown are the base price for a relatively small order. As the size of your order increases, the cost of your tile will come down at set thresholds. Please feel free to contact us for any inquiry of price, sample or delivery. Please include the est. size of the order, designate sq ft, sqM or number of tiles, expected installation date and delivery details. Cuban Collection cement tiles are the old-world standard of 8 inches (20cm x 20cm) square. It takes 2.3 tiles per sq ft. ....so, for example, ...100 sq ft is 100 x 2.3 =230 tiles. The Border Edge and Corner tiles are also 8 inches (20cm x 20cm) square, even though they may look rectangle in some instances. If you want to print out some graph paper gridded in 8" squares, click here. Hint: Tape together two or more sheets for larger layouts. This is really handy for border layouts. Just use colored markers on your graph paper to mark out field tile and borders. private homes. They do love florals and pink in Cuba ! Upon request, we can make a matching border. See our photo of this lovely floor here in another colorway. Download a Printable (pdf) Tearsheet of MAMBO "Autentico"
© 2008 - 2017 VLT All Rights Reserved.